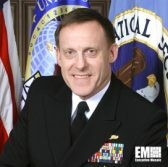 Retired U.S. Navy Adm. Mike Rogers, former head of the National Security Agency and U.S. Cyber Command, has joined cybersecurity company Team8 as a senior adviser. Rogers will offer his cybersecurity experience to support Team and its portfolio companies in developing, as well as the firm’s expansion strategy in the U.S. market, Team8 said Thursday. He will also help the Israel-headquartered venture capital firm in its mission to establish a line of companies that will deploy necessary technologies to deter cyberattacks. Team8 CEO Nadav Zafrir said Rogers will augment the company’s efforts in identifying technology gaps in the marketplace where future startups could spring from. Prior to serving at the NSA for four years, Rogers held senior leadership roles at the U.S. Pacific Command and U.S. Fleet Cyber Command.